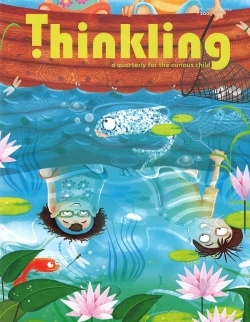 Celebrate summer’s bounty with Thinkling magazine for readers aged 7 – 12. Spending lots of time at home this summer? Conjure up a feast on ice, set up a home library, explore the properties of oil and water and make a lava lamp to decorate your room.